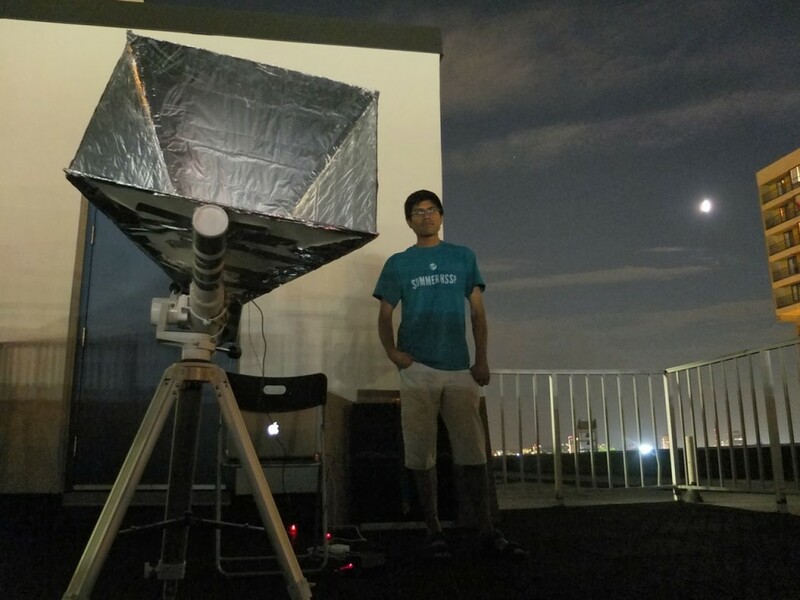 Rishi Patel has written on his blog about his radio astronomy project which involves an RTL-SDR and an impressive homemade horn antenna. The horn antenna is constructed from cardboard foam and aluminium foil and is mounted on a telescopic mount. The horn then connects to a waveguide feed which is constructed out of a large metal can. The antennas waveguide then connects to a microstrip filter and LNA before finally connecting to an RTL-SDR. Rishi then uses a simple python program to gather the IQ samples from the RTL-SDR, and then draw the power spectral density plots. 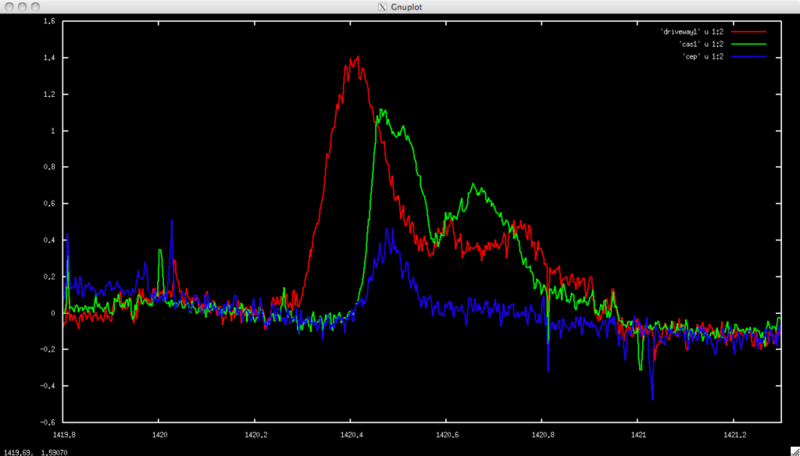 With this setup Rishi was able to detect the Hydrogen line. Rishi also used a second even larger horn with a different design to plot the spectrum shown below of the Cygnus (red), Cassiopeia (green), and Cepheus (blue) constellations. Spectral Plots of Cygnus (red), Cassiopeia (green), and Cepheus (blue) constellations.